It’s Veteran’s Day in the US and most schools are closed. We’re remembering and honoring our nations veterans. I’m remembering my late father who was a combat veteran of World War II and later served for many years as a Navy chaplain. That’s him on the right in a picture from the war. Over last week though I did collect some links to share. BTW I did an interview with Doug Peterson for his blog over the weekend. 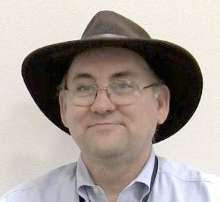 It’s posted a An Interview with Alfred Thompson One of the questions Doug asked me was about this weekly links post. Airlines are figuring out how to use all that customer data they collect This is one of the articles I want to discuss with my students this week. Why Arts and Social Science Needs Code: Testimonials from a number of people. 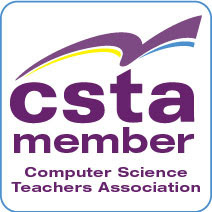 Getting Ready for Big Data is a post at the CSTA blog with resources for teaching about data as part of computer science courses. Love the new @codeorg Hour of Code tutorials! Sound effects and all! Partners in Learning Network - MEET THE EXPERT EDUCATORS Several of my friends on this list and are headed to Barcelona. Excited for them. SIGCSE 2014 a Great Opportunity for Professional Development. I’m really hoping to go this year. How about you? Computer Science History: How Cloud computing is similar to the earlier move to client/server architectures. This is my most recent post at the CSTA blog. Hope you like it.